Dual Enrollment and Articulation Maryland allows students to earn dual credit through dual- enrollment coursework. Public postsecondary institutions are not required to accept these credits (Education Commission of the States, 2015). Early College High School The Gateway to College National Network has partnered with an institution of higher education to provide one Early College High School as part of the Early College High School Initiative (ECHSI). More information about schools participating in ECHSI is available at the ECHSI website (Jobs for the Future, n.d.). 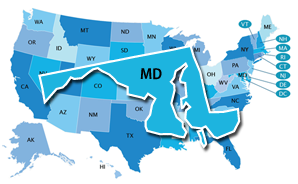 In 2008, Maryland mandated that all students in Grades 9–12 have an Individual Academic and Career Plan (U.S. Department of Labor, 2013). Individual Academic and Career Plans should include ongoing assessment of students’ personal characteristics and positive traits, learning styles, abilities and motivation, and career aspirations. Students must begin developing their plan before the ninth grade and update it in subsequent years (Maryland State Department of Education, n.d.). Maryland’s state-specific Early Warning System has an unknown tool name. The level at which Early Warning System data are reported and who can access the data is not publicly available.